Alaska Airlines announced today it will begin daily nonstop service between Seattle-Tacoma International Airport and El Paso International Airport, along with daily nonstop service between El Paso and San Diego International Airport. El Paso is a new destination for Alaska. The new service is scheduled to begin February 19, 2019, offering the only nonstop flights from Seattle/Tacoma and San Diego to El Paso. Alaska has considered El Paso as a new destination for some time. It’s currently the largest underserved market from Seattle/Tacoma within the range of our Embraer 175 jets. That aircraft – with three cabin classes – is a perfect fit for this route, which will be flown by Horizon Air. El Paso will become the 91st nonstop destination available from Alaska’s main hub in Seattle/Tacoma this spring. Top Copyright Photo: Alaska Horizon (Horizon Air) Embraer ERJ 170-200LR (ERJ 175) N635QX (msn 17000731) SEA (Michael B. Ing). Image: 943663. 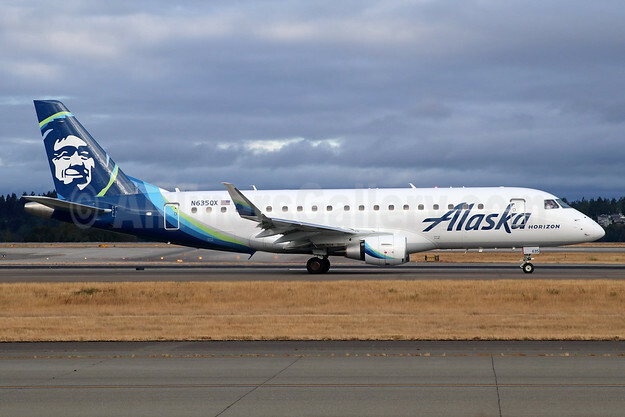 This entry was posted in Alaska Airlines, Alaska Horizon and tagged Alaska Airlines, Alaska Horizon (Horizon Air), Embraer ERJ 170-200LR (ERJ 175), msn 17000731, N635QX, SEA on September 27, 2018 by Bruce Drum.